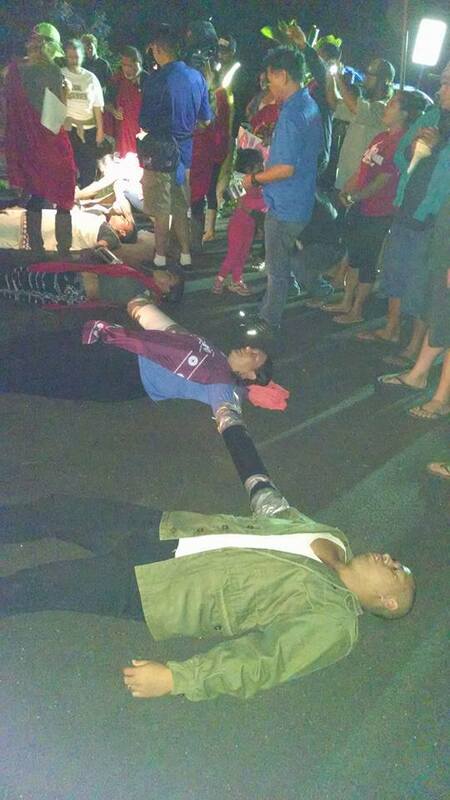 In a show of solidarity against further development atop Haleakalā, demonstrators on Maui secured themselves in rows and bound their arms to others in a human chain across the pavement, in an attempt to block a planned convoy of vehicles scheduled to deliver equipment to the Daniel K Inouye Telescope currently under construction on the mountain. 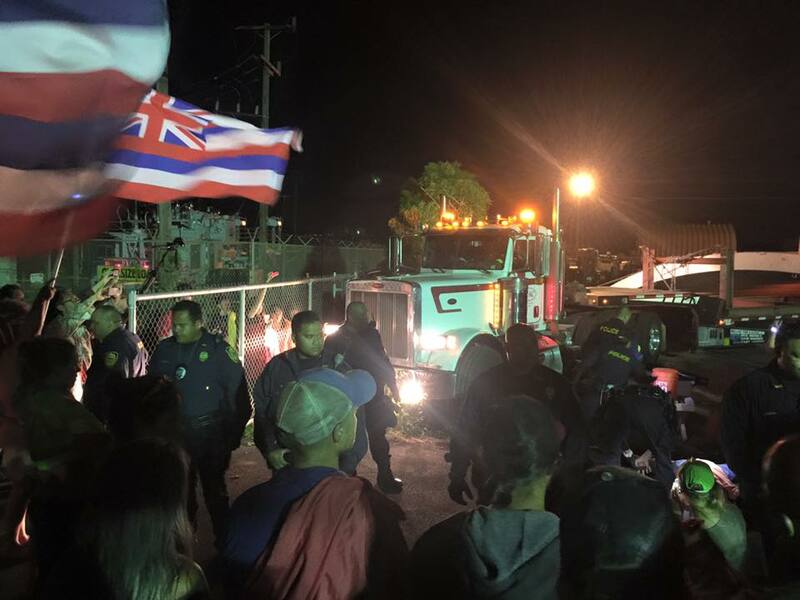 At 12:46 a.m., on Friday, July 31, two semi truck loads of material were escorted through the crowd of remaining demonstrators near the Central Maui Baseyard off of the Mokulele Highway. 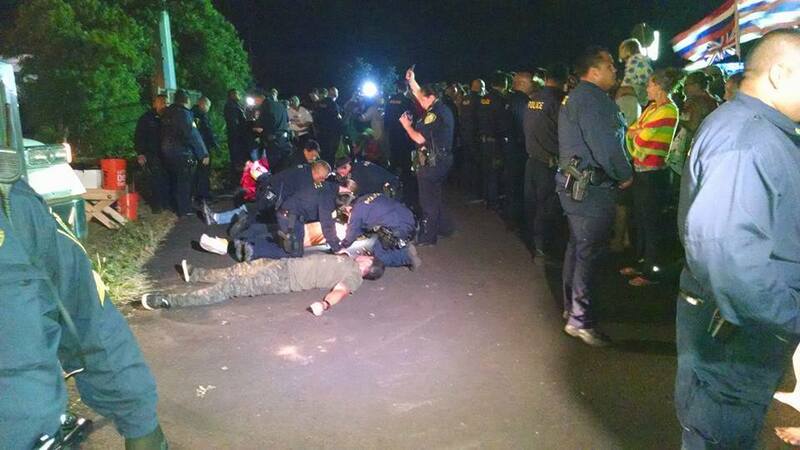 Arrests continued into the night with at least 20 people removed and handcuffed during the incident. The exact number or arrests was not immediately available. This was the second time in as many months that groups opposed the construction of the Daniel K Inouye Solar Telescope atop Haleakalā have tried to block a convoy transporting material and equipment to the summit for the project. Various groups participating in the demonstration are opposed to ongoing construction and desecration of what they consider to be sacred land atop some of the state’s highest mountains. Telescope advocates say the DKIST, formerly known as the Advanced Technology Solar Telescope, will be the world’s largest ground-based solar telescope and will offer scientists unprecedented high-resolution images of the sun using the latest adaptive optics technology and distortion-free imaging. 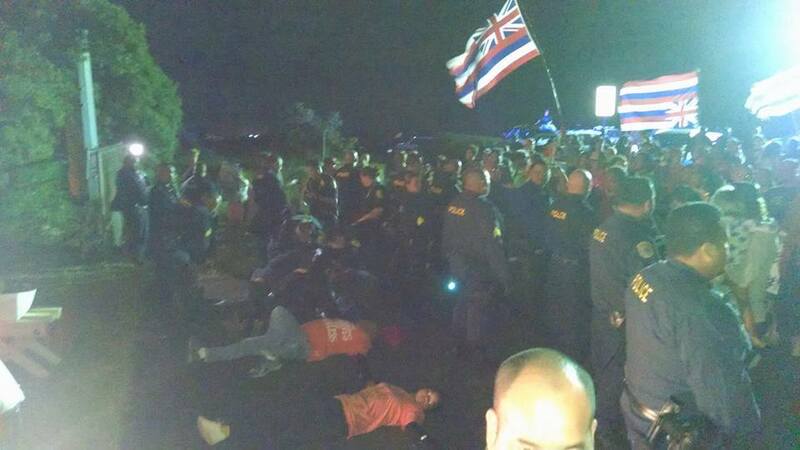 Posted on July 31, 2015, in Uncategorized and tagged Haleakalā, Hawaii, Hawaii Indigenous, native blockades, native protests, Thirty Metre Telescope. Bookmark the permalink. 1 Comment. This is sacred ground…perhaps the last of the culture of native Hawai’ians. There is no reason on Earth to build yet another telescope and destroy this land.